The first step in keeping your automotive budget in check is deciding how much you can afford to spend every month. Our handy car loan calculator can help you estimate car loan payments based on interest rate, down payment, and purchase price, allowing you to choose the Toyota model for your needs. Just choose the in-stock model you would like to know more about and sign in to get your price. Our tool allows you to adjust the term, estimate tax, title, and licensing costs, add your current vehicle’s trade-in value, and more. This helps give you a clear idea of what your monthly car loan payments will be, so you know the true cost of your Venice drive. You can even check payments on cars like the Toyota Mirai and our new vehicle specials to gauge just how much you can afford on your budget. 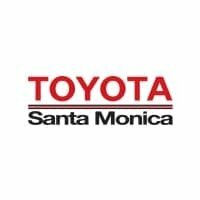 Make the drive from Palms and see which Toyota is right for you at Toyota Santa Monica today!